Annette and Mondie are getting married in early 2009 and I can't wait for their wedding! They are an awesome couple. They remind me a lot of our friends and I can really see them as friends. They are really laid back and easy to talk to. 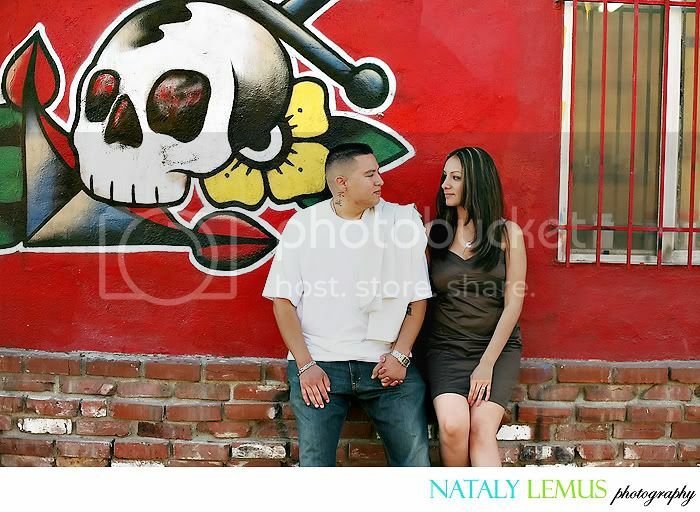 Throughout their engagement session they were willing to walk all over Venice Beach. Although, I do think I burned out poor Mondie! I love the warmth of this shot. It was a few minutes before sunset so we got the nice, warm color. The light sure looked perfect that day! Good job! I like the pick where they're sitting on the ground. The first one is really cool, great way of using your surroundings.